The Mercedes GLK went on sale in 2009 and after a few years on the market, it was just about due for a facelift. 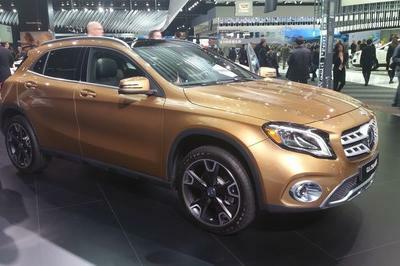 The final production model of the revised edition was caught testing various times, but Mercedes finally unveiled the new GLK ahead of its official debut at the 2012 New Your Auto Show. 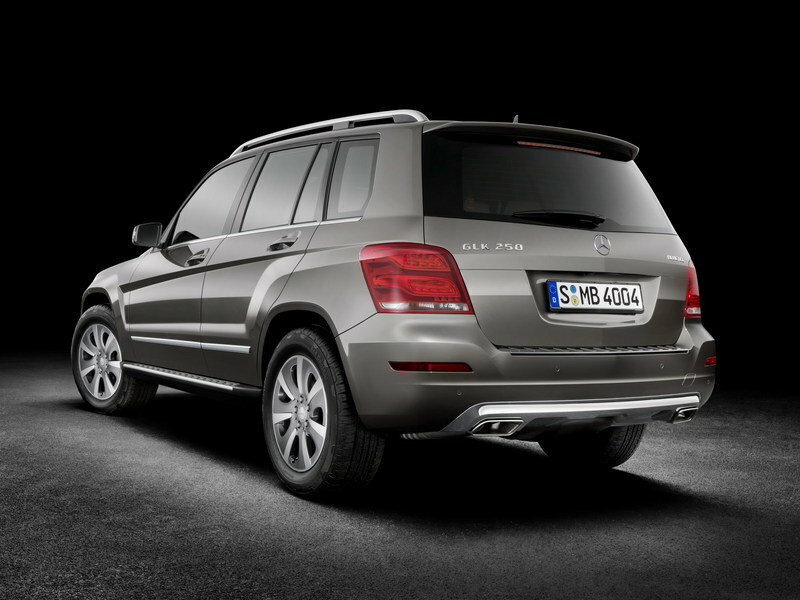 Sales will begin later in the Summer 2012, with the GLK350 being the first one to be offered on the market. 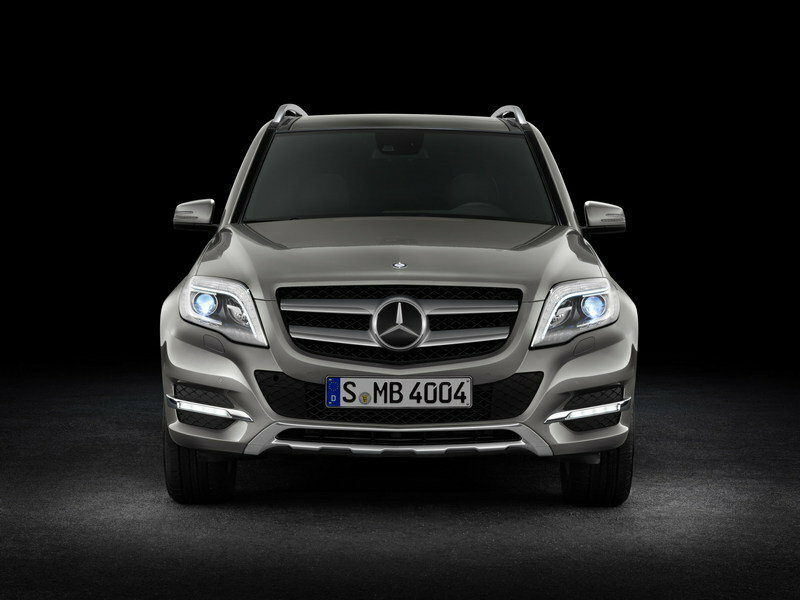 A GLK250 BlueTEC model will arrive in early 2013. The new 2013 GLK received a few exterior changes that make it look even more aggressive and dynamic, along with the use of better quality materials, new equipment, a fully redesigned trim, and a new infotainment systems. Mercedes is offering nearly 1,000 new parts in total, parts that help the GLK offer outstanding driving dynamics, excellent safety, and superlative ride comfort. The GLK350 is powered by a fuel-efficient 3.5- liter direct-injection V6 gasoline engine generating 302 hp and 273 lb-ft of torque. It sprints from 0 to 60 mph in just 6.5 seconds and can hit a top speed of 130 mph. 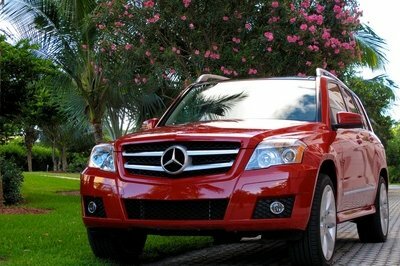 UPDATE 03/22/2012: This review has been updated with the official images and details of the Mercedes GLK-Class. 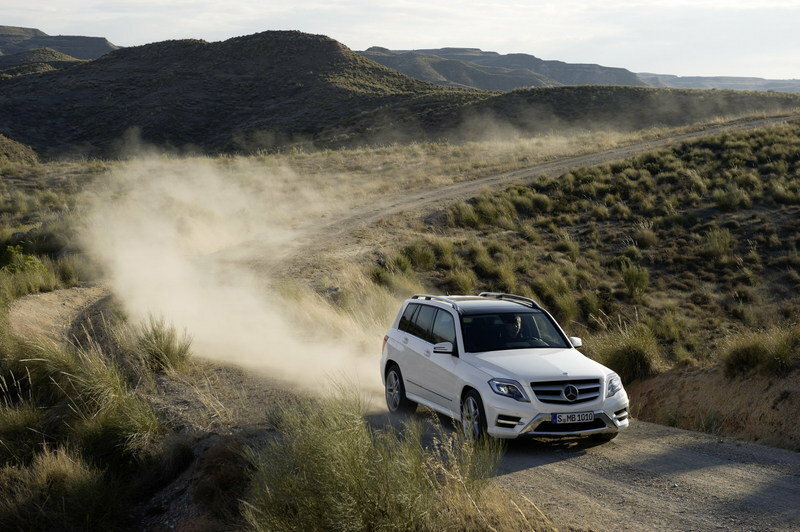 Hit the jump to read more about the new 2013 Mercedes GLK. The Mercedes GLK is already a very successful model, but thanks to the changes received, the crossover now has an even more athletic look. The 2013 model combines the classic offroad elements with the design language of the latest Mercedes sedans. 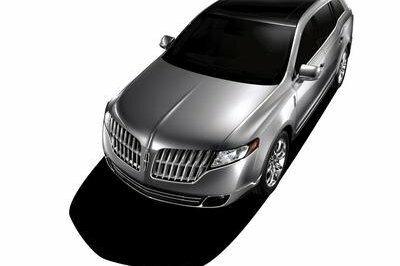 The main changes include short overhangs, an upright front end, slender roof pillars, a steep windshield, and a taut roof line. At the front of the GLK, Mercedes added newly-designed headlamps with LED daytime running lights framed in chrome and a redesigned radiator grille with two louvers painted silver with chrome inserts. The LED daytime running lights and locator lighting can be replaced with bi-xenon headlamps with active curve illumination if the Lighting Package option is chosen. 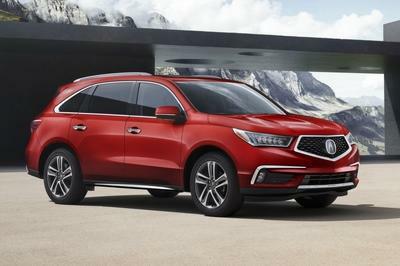 The roof rails have also been redesigned, with the rear a new rear receiving a new bumper, a new chrome skidplate, and chrome-plated tailpipe trim. The tail lamps have also been completely redesigned in both appearance and function. The car will be offered with standard 5-triple-spoke 19-inch alloy wheels with 235/50 R 19 all-season tires. The Mercedes GLK’s interior was also modified to offer a more premium feel and better comfort. Mercedes opted for a completely redesigned dashboard with a large trim piece in burl walnut, new round air vents, and further trim elements in Silver Shadow. The new GLK will offer a premium leather multifunction steering wheel with shift paddles and a premium 4.5-inch color display in the instrument cluster as standard. Interested customers can also opt for a Full Leather Seating package that includes LED fiber-optic technology for the first time in the GLK, full leather seating (including door panels in MB-Tex), front passenger seat memory, and comfort headrests. When it comes to technology options, the GLK will come with a six-speaker sound system with an AM/FM radio, single CD player and MP3 capability, as well as a Bluetooth interface for hands-free calling and a central controller with a 5.8-inch color display. Mercedes is also offering an optional Multimedia package that adds a larger 7-inch display with a rearview camera, enhanced voice control, and the COMAND system with hard-drive navigation. 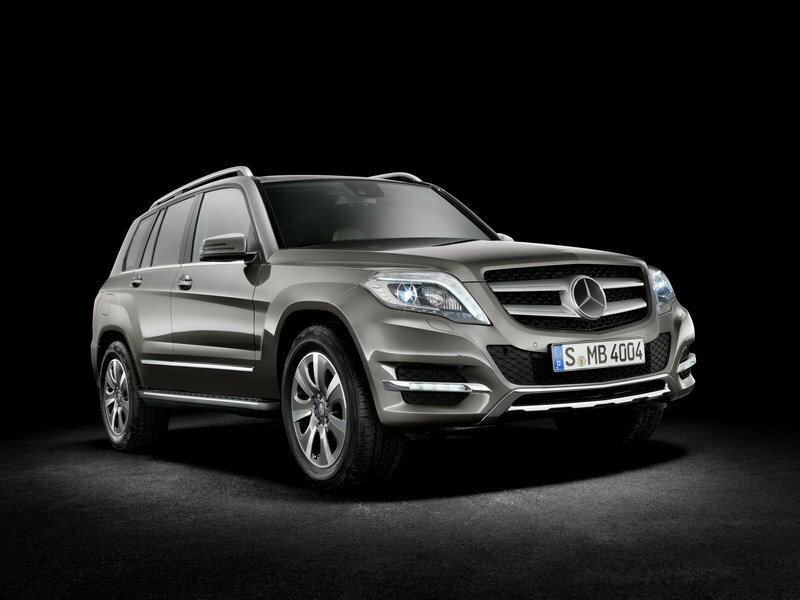 When the new 2013 GLK-Class goes on sale in Summer 2012, the GLK350 will be the only option, offered in both standard and 4MATIC versions. In 2013, Mercedes will add a GLK 250 BlueTEC 4MATIC version. The GLK350 is powered by a 3.5- liter direct-injection V6 gasoline engine that delivers a total of 302 HP and 273 lb-ft of torque from 3,500 to 5,250 rpm. This engine will be offered with ECO stop/start system for even better fuel economy, particularly in city and suburban driving conditions. The second version, the GLK 250 BlueTEC 4MATIC, will be powered by a four-cylinder diesel engine rated at 190 HP and generating 369 lb-ft of torque. 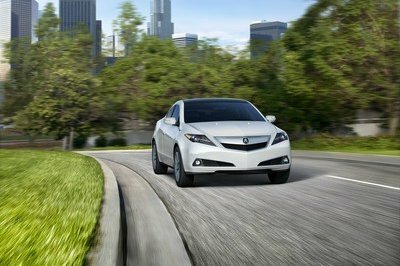 Both engines will be offered with a standard seven-speed automatic transmission. When it comes to safety features, the GLK is also pretty impressive. The list of standard equipment will include: ATTENTION ASSIST drowsy driver detection, 3 additional airbags for a total of 9 –dual-stage driver and front passenger airbags, driver kneebag, driver and passenger pelvic airbag, and window curtain airbags for the front and rear, as well as NECK-PRO active front head restraints. The new GLK will go on sale in Summer 2012. Prices will be announced at a later date. We don’t have to look far for a competitor for the new GLK because the German market has another luxury crossover ready to take it on. The Audi Q5 offers the same level of driving dynamics and luxury as the GLK and it is also just about ready for its facelift version. Mercedes was able to drop their model first, but once the Audi comes out, will it be enough to steal the Q5’s customers? Meanwhile, the Japanese market also has a competitor for the GLK in the form of the Infiniti EX. Some consider the EX to be better than the two German models, but we don’t believe it’s as practical as its German counterparts. That being said, the EX is still more fuel efficient. I must admit that it looks better up close. Could there be a better vehicle than this? This is just right like perfect in everyday uses. I’m glad it unveiled before the competition starts. The improved interior is great. I’m impressed with the options they provided, but the only thing that bothers me is that there will be a single engine when it launched in the market. To be honest, I don’t like its design. Its performance makes it stylish, nonetheless. I’m pleased because it performs aggressively as how it appears to be. I’m not liking any part of its supposed style, but I find its features and performance impressive. So this is the new GLK Class? From the previous article, the design is outdated. The figure of this one is sleek, and they lowered the suspensions for it to look sporty. I love how its exterior is looking aggressive, yet it’s the only one to it as when I saw its performance, I’m even more impressed. The updates have really helped make this become more dynamic. Now I know that the concentration of this 2013 GLK is on the bumper and the front attributes. LED technology will finally be used in this model. I’m looking forward to that they are going to use the new engine that will provide best performance. Those spy photographers are great! This photo is amazing. Anyway, now is 2012 and I am now excited of more photos from this GLK. This is one of the much awaited cars ever! 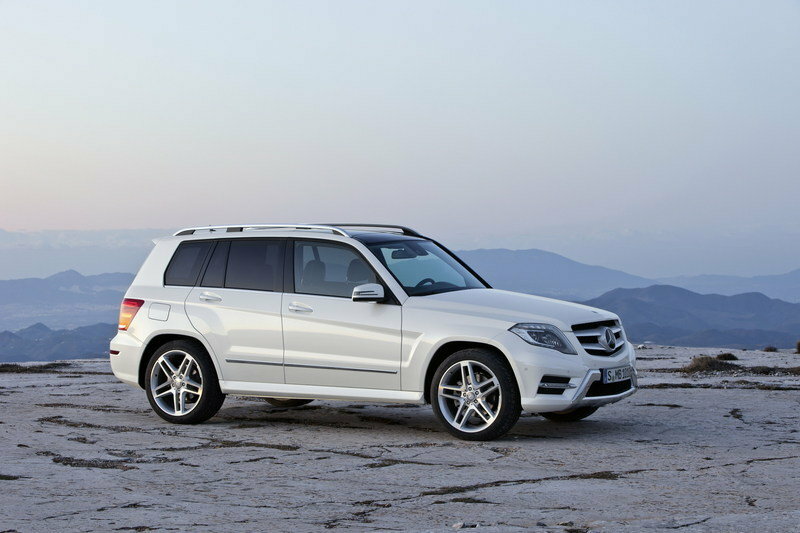 GLK is one of the much-awaited vehicles from Mercedes! Well, I can say that it is truly a teaser on that picture. Moreover, I hope that TopSpeed would update some news about this one. I just can’t really wait for the official details of it. I love its redesigned bumper! It looks cooler on that even on its new air intake. Anyway, its interior is also a teaser! Well, I hope that it is really a surprising for this future SUV of them. I will surely wait for this GLK! Well, I’m just so intrigue on the official outlook of it even on its detail. Anyway, I must say that it looks cool on its wheels, and it will be more impressive if it is on a V8 or V10 engine. Yeah! Well, it looks more a teaser now than on its earlier picture. Anyway, I love the platform of this vehicle; it looks very exclusive and decent on that. I just only hope that it is not a hybrid vehicle. It’s a really nice spy shot! Well, I can’t truly wait for this, and I would absolutely hope that it will have a surprising and exciting feature now than before and even a great and awesome engine specification.